Hiring celebrities to endorse your brand, service or event is very simple. Contraband is the UK’s top booking agent, with friendly, experienced account managers who guarantee you the best deal possible. Benoit and his orchestra are available to book for a variety of corporate events. We work in direct association with Benoit and his orchestra’s representative as their preferred booking agent. Contact us today for this celebrity booking, a great addition to your event entertainment. 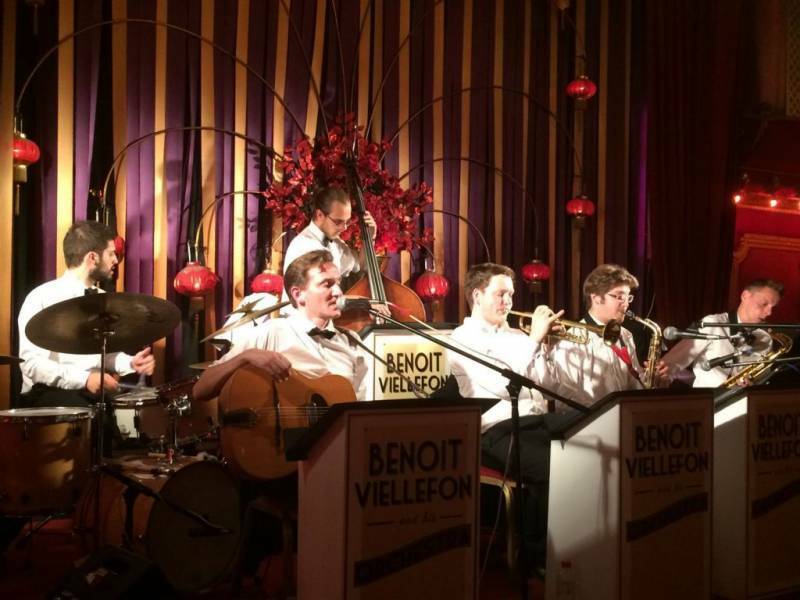 Benoit Viellefon is one of the outstanding band leaders at work in Europe today, backed by an all-star cast of the UK’s finest swing musicians. Here is his story. Whether it be as a lifelong student of the glorious gypsy guitar musings of Django Reinhardt or as a crew member and specialist mechanic on 1930s De Havilland Tiger Moth airplanes, Benoit has always had a penchant for the nostalgic things in life. Like the man himself, Benoit’s music is characterized by its distinctive elegance and boundless energy. 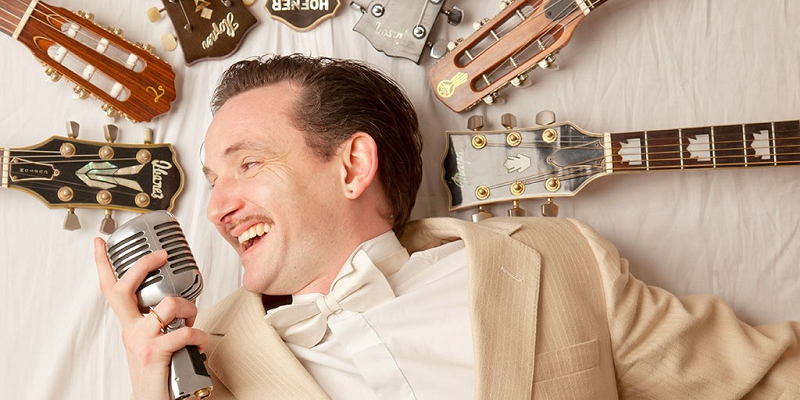 Having spent the late 1990s in the US, Benoit returned to London in 1998 to establish his label JohnJohnRecords.com and to work as a first-call session guitarist on many film soundtracks, international Reggae & Roots Music tours and on London’s burgeoning vintage cabaret and burlesque scenes. Having toured the world as lead guitarist with groups such as ska legends The Trojans, Gaz Mayall, Prince Buster, Rico Rodiguez, Vin Gordon (Studio1 & Bob Marley), Louis Alphonso (Bad manners), Nick Welsh (the Selecter), Rhoda Dakar (Special AKA), and Eddie Tantan Thornton (Beatles, Jimi Hendrix, Boney M, Aswad), Benoit decided it was time to step firmly into the limelight as band leader. 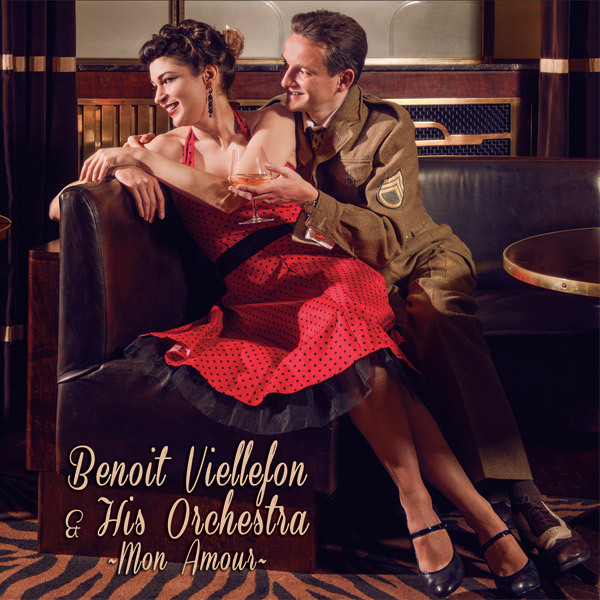 Benoit formed his orchestra in 2009 and it was immediately a hit on London’s cabaret and vintage speakeasy scene. 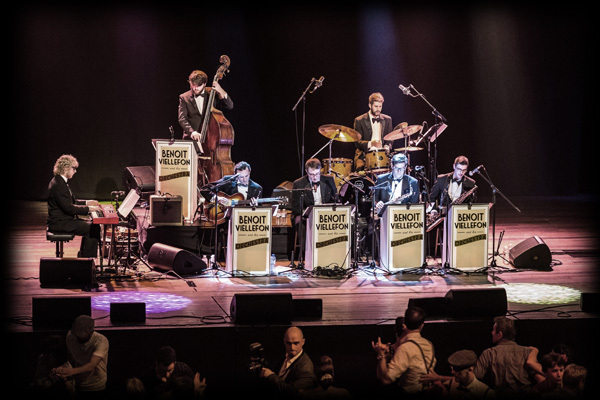 Since then Benoit and his Orchestra have played all over the UK and Europe to critical acclaim, fulfilling Benoit’s vision of a contemporary orchestra who command the dance floor like the master entertainers of the 1920s, ‘30s and ‘40s. Thanks for playing at my birthday party. You were amazing, the music was brilliant and you are all very talented. Thank you very much for playing for us. Dear Benoit, Thank you so much for playing at my recent birthday party. your style of music suited the occasion and the beautiful setting perfectly. You were staggering and everyone was raving about You. What an incredible weekend!